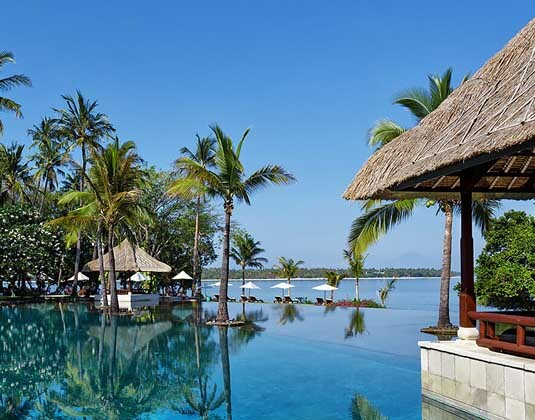 Set in 24 acres of luxuriant tropical gardens on a stretch of Medana Beach, the Oberoi Lombok is a haven for luxurious living and ultimate tranquillity. 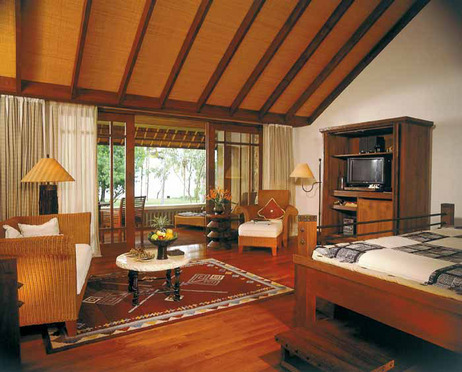 An intimate ambience prevails throughout the resort and the exquisite attention to detail exceeds every expectation. Affording magnificent views of the dazzling ocean, the thatched-roof villas feature local colours and textures and a fabulous marble sunken garden bath. The sensuous spa will pamper you with exotic treatments and the exclusive restaurants will lure you with the very best cuisine. 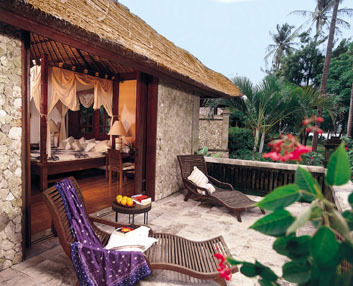 In luxury garden view pavilions with air-conditioning, sunken bath and separate shower, DVD, mini bar, safe and terrace. 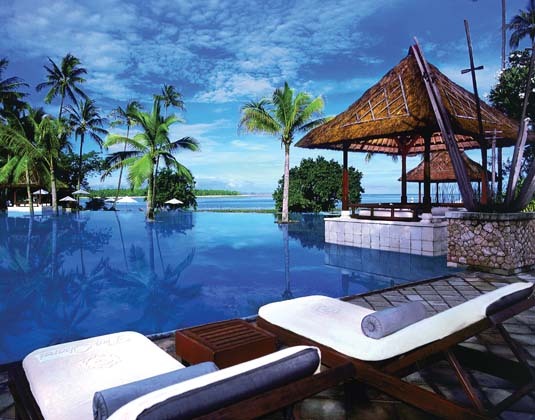 Oceanfacing pavilions, luxury garden view villa, luxury garden view villa with swimming pool, royal ocean view villa with pool. 1 hour 45 minutes from Lombok airport. Hotel is closed until 15 Jun 19. 01 Sep-26 Dec 19 07 Jan-31 Mar 20 if you book 45 days prior to arrival. 01 Sep-31 Oct 19 if you stay at least 6 nights. 07 Jan-31 Mar 20 if you stay at least 3 nights. 01 Sep-31 Oct 19 if you stay at least 3 nights. 01 Apr 19-31 Mar 20 FREE bottle of wine in all villas; stay a minimum of 3 nights and receive a complimentary 3 course dinner. 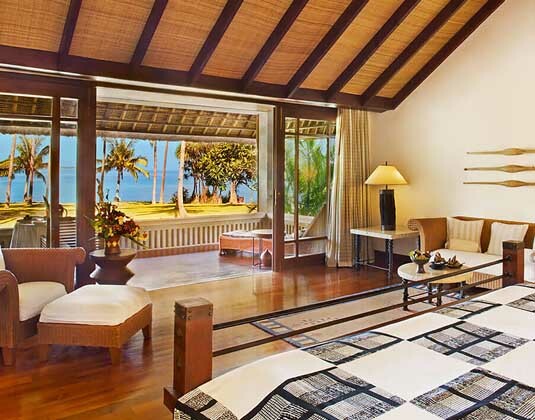 01 Sep-21 Dec 19 07 Jan-31 Mar 20 2nd room for 2 children 8-12 years old receive 50% discount on parents room in luxury pavilion garden view and ocean view rooms. 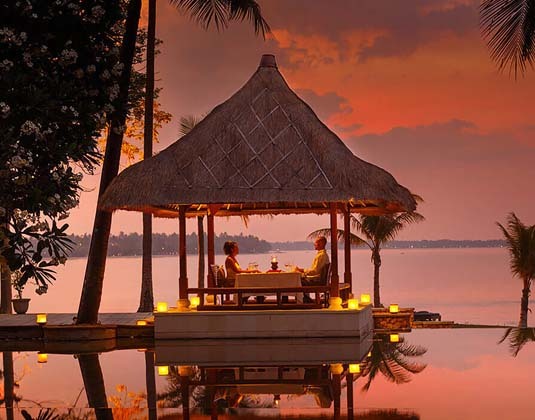 01 Apr 19-31 Mar 20 receive one special honeymoon turndown service on one night of stay, flower arrangement, personalised stationery, and honeymoon cake. stay for a miniumum of 3 nights and receive 60 minutes spa treatment.